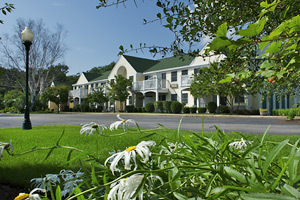 Lodge at Jackson Village is the premiere Jackson lodging establishment for both couples and families. Upscale hotel on the Ellis River, with complimentary Continental breakfast buffet, seasonal pool, tennis, WiFi, stone fireplace, afternoon refreshments. Some rooms with 2-person Jacuzzi tubs & fireplace. Walk to restaurants, shops, golf. Minutes from Story Land, Mt. Washington Auto Road, Great Glen Trails and other White Mountain Attractions.